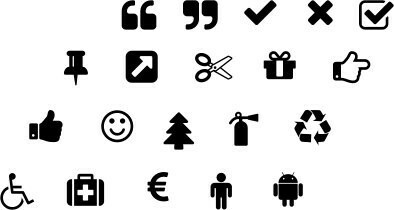 A quick & easy way to insert symbols from the large and growing Font Awesome selection. 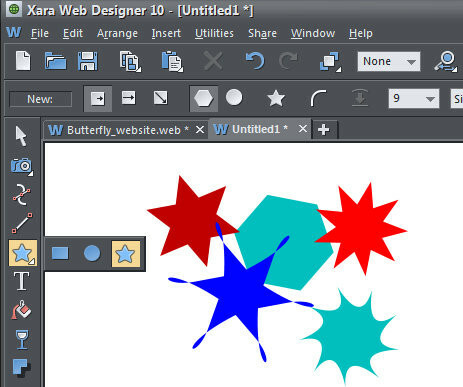 The full set is displayed via the Insert menu, simply browse and click on the symbol you require to insert it in your document as a text character or graphic. An amazingly quick and easy way to create and edit some of the most commonly required shapes – for example speech bubbles, fancy arrows and text panels - with top quality results guaranteed. If you don’t have the time (or skill) to master the drawing tools you’ll no longer need to resort to clipart. Here are some examples from the Smart Shapes library (internet delivered, so more shapes will be added thru the rest of this year) that can be easily customized. 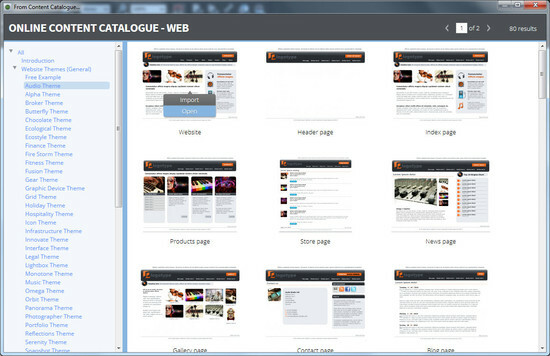 A new top level Insert menu which considerably improves the ease with which you can insert key elements into your document (eg insert new page or insert page number) including some new options eg ‘insert picture from Camera’. The Quickshape tool complements the rectangle and ellipse tools and provides a quick and easy way of creating polygon and star shapes. You can easily change the number of sides or drag the edges to bend the sides. If you publish your website via MAGIX Online World (free MOW hosting is included in all copies of Web Designer), you can now easily password protect that website. Includes full facilities for managing your authorization list. An online extension of the Designs Gallery offering greatly improved browsing of content, within a resizeable window - especially valuable for web themes. 5 brand new General Website Themes (normally sold in Web Packs for \$10 each, so that's \$50 worth!) with up to 16 page layouts. View previews of all the included themes (ones marked with P are in Premium only). New in v10: Audio, Grid, Panorama, Snapshot, Typo. You might have recently noticed that that your photos were being randomly rotated when you imported them from some modern devices. 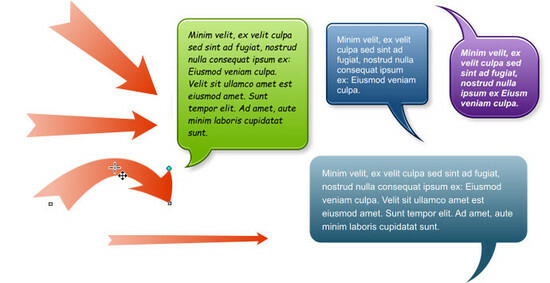 Where necessary Web Designer now does an auto detect and rotate to fix this issue. Word import has been enhanced. The PDF import filter has been replaced with a new one which should already be showing improved results.